Jade Whynne… Managing Director with V2 Volunteer & Vacation… introduces some of the benefits of volunteering on conservation projects abroad, looking specifically at some of the V2 conservation projects in the Caribbean. Beyond the view of the sandy beach and turquoise water that most of the millions of visitors that arrive in the Caribbean admire from the balcony of large hotel chains, lies a truly unique and captivating world. The Caribbean is renowned internationally for its vibrant culture, music and food. But what also make the Caribbean unique is that it is one of the world’s richest biological areas. The 7,000 islands and 28 nations that make up the Caribbean support an array of ecosystems ranging from mangroves to mountains, forests to rivers, and is home to numerous endemic species. Today, aside from economic development, the Caribbean faces one of its biggest challenges yet: the region’s biodiversity is at serious risk of species extinction. Marine life in particular is at the forefront of conservation efforts. The Caribbean has the largest proportion of corals categorised as high risk of extinction, and has experienced a massive 80% reduction in coral cover since the mid 1970s. In recent years, fish populations have plummeted, and that’s having a devastating impact on local communities that rely on fisheries as a key source of food and employment. Local NGOs and small community based organisations are playing a significant role in conservation efforts in the Caribbean. We partner with these organisations in Jamaica and Tobago, focussing on raising awareness of issues affecting local people, and then matching the skills and experience of motivated and enthusiastic international volunteers to the needs of local initiatives. In Jamaica, The Oracabessa Bay Fish Sanctuary works to restore corals in the local fishing village on the north coast of the island. V2 Volunteer & Vacation partners with the organisation to provide volunteers to assist on their Coral Propagation Project. 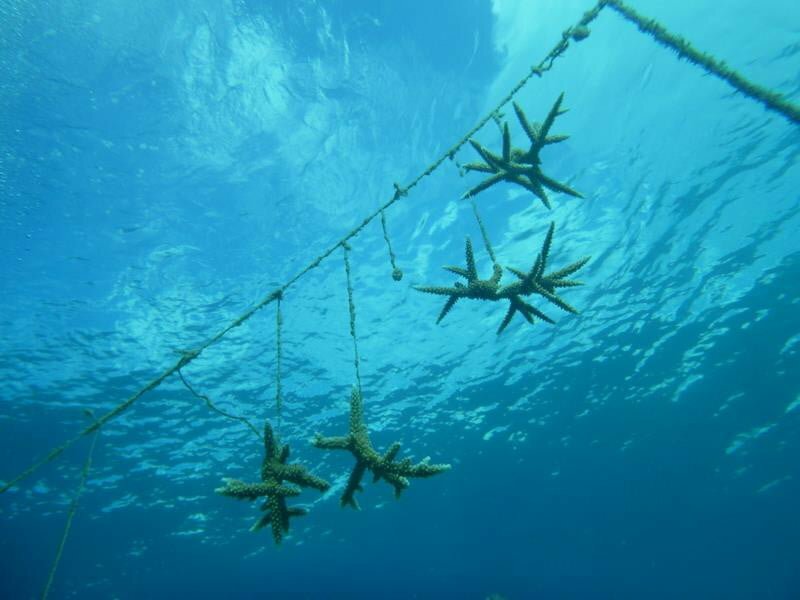 The project seeks to restore corals to their historical state by growing corals in a nursery and out planting them to reefs, a process known as ‘Coral gardening’. This helps to increase fish populations, creating positive impact on the local fishing community. Our partner organisation also monitors and protects the critically endangered Hawksbill sea turtle. The turtles are now the only sea turtle species to nest on the island, but populations have declined by a shocking 99.75%. Sea turtles are most vulnerable during the egg, hatchling and juvenile stages. During these critical periods V2 Volunteers contribute to the welfare and conservation efforts helping to keep turtles safe until they are able to fend for themselves. 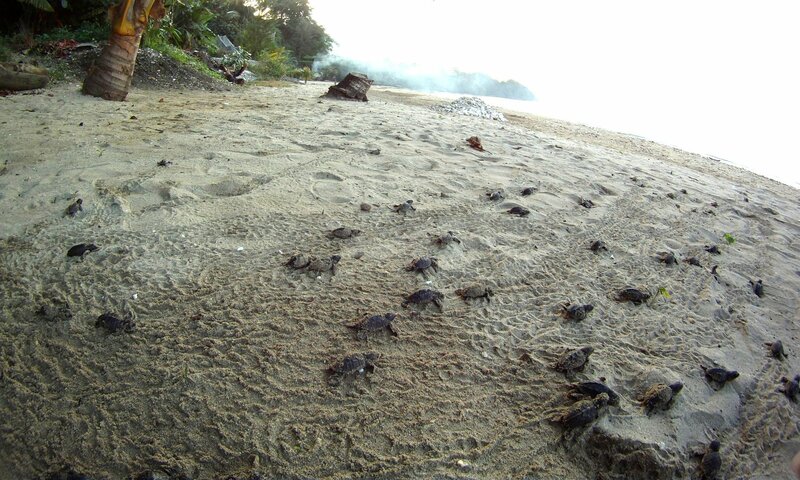 Volunteers ensure that nesting grounds are not disturbed, and that hatchlings have the best possible chance of reaching the sea successfully. 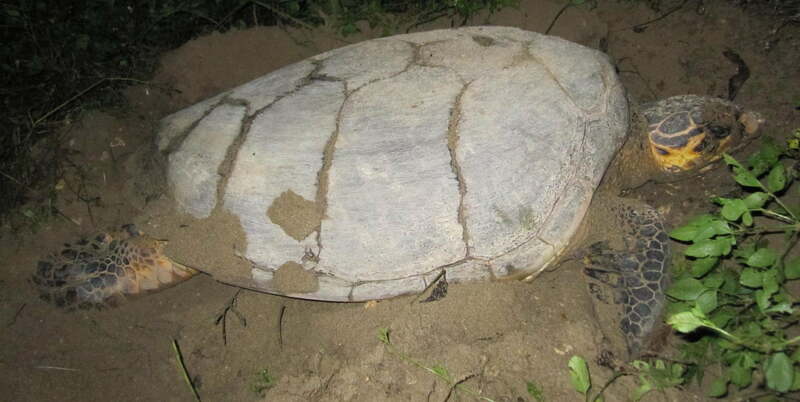 The project has been hugely successfully with over a 100 nests and 16,000 turtle hatchlings surviving each year. Volunteering is a great way of helping local projects, learning new skills, developing understanding and seeing for onesself the challenges faced by local communities. Combining volunteering with a vacation allows people to enjoy all the attractions that a region has to offer with an enriching opportunity to delve deep into local life. Find out more about V2 Volunteer & Vacation’s volunteer projects in the Caribbean on their website, or check out their page on Facebook. Jade Whyne is the Managing Director of V2 Volunteer & Vacation. She was born in the UK and raised in Jamaica and Ecuador. Her experiences living and working in Latin America and the Caribbean led her to study International Development and train in youth violence prevention. In 2013 she founded V2 Volunteer & Vacation combining her love for travel and passion for development. Jade is committed to raising the awareness of the issues faced by many communities in the developing world, particularly the Caribbean. All V2 Volunteer & Vacation activities seek to support sustainable initiatives whilst showcasing the resilience and resourcefulness of local people.